Becca King is on the run. Her ability to hear ?whispers? ? the thoughts of others ? has put her at risk from her stepfather, whose criminal activities she's discovered. When she arrives on Whidbey Island, beautiful, wild, and a world apart, she embarks on a life very different from her old one, with new friends that include Seth, a kindhearted dropout turned gypsy jazz musician; Derric, a Ugandan boy adopted by a local family; Diana, with whom she shares psychic powers; and Debbie, who makes a habit of helping runaways. 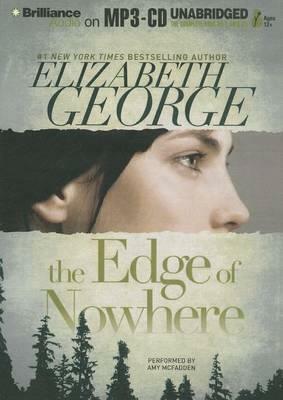 Blending strands of mystery and romance and a hint of the paranormal in a haunting setting, The Edge of Nowhere is the first in a cycle of books that will take Becca and her friends through their teenage years on the island. Elizabeth George, author of the bestselling crime novels about Inspector Lynley, brings her prodigious talents to her first book for young adults.